Amaze your loved ones by gifting them this Pleasurable Chocolate Cake 1 Lb. with 6 Red Roses Bouquet and make them crave for more. Amaze your loved ones by gifting them this Pleasurable Chocolate Cake 2.2 Lb. with 6 Red Roses Bouquet and make them crave for more. 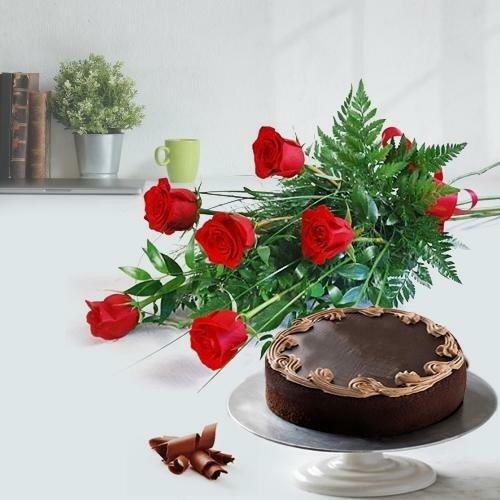 Amaze your loved ones by gifting them this Pleasurable Chocolate Cake 4.4 Lb. with 6 Red Roses Bouquet and make them crave for more.